Che Lagarto is the largest chain of private hostels in South America. We have hostels at all the best destinations and we pride ourselves on giving our guests the best experience possible. With more than 15 years under our belt, we currently have more than 20 hostels in 5 countries: Argentina, Brazil, Peru, Uruguay and Chile. 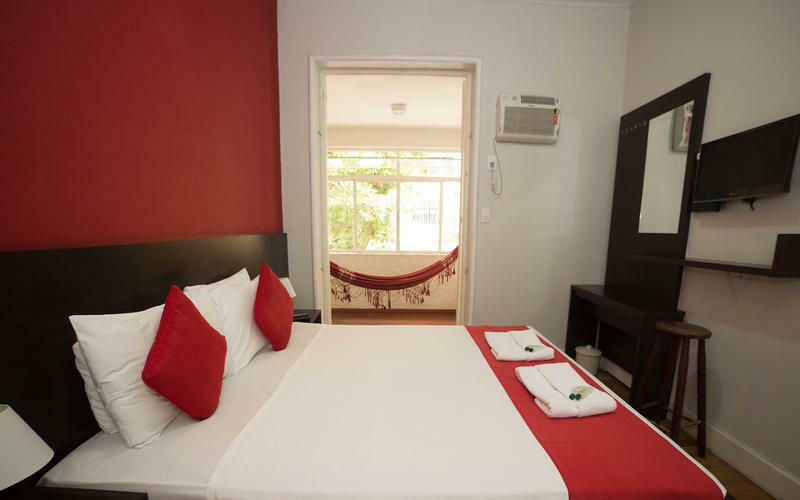 We are located at Rua Santa Clara 304, Rio de Janeiro, a few meters from the stunning beach of Copacabana, one of the most visited by tourists. It is in one of the classic neighborhoods of Rio de Janeiro, surrounded by chic restaurants and bars, giving it a privilege night life and beautiful landscapes of beach. From the International Airport: You can hire a TRANSFER through the hostels reception. Another option is to take the bus REAL (same bus coming from the bus station). If you choose this option you should get off at Barata Ribeiro Street with Santa Clara Street, where we are. From the Bus Station: You can hire a TRANSFER through the hostels reception. Another option is to take the bus REAL. If you choose this option you should get off at Barata Ribeiro Street with Santa Clara Street, where we are. This property has a 2 day (48hs) cancellation policy. Failure to cancel within this time will result in a cancellation charge equal to the first night of your stay. 100% of the payment is required in advance. If the booking is canceled 30 days before the check-in date, 70% of the deposit value will be refund. If the booking is canceled between 29 and 15 days before the check-in date, 50% of the deposit value will be refund. If the booking is canceled 15 days before the check-in date, there will be no refund. Each reservation is for an individual bed, although you book the same number of beds as the room has, this doesnt guarantee that all the people are going to be in the same room. Guests under 18 years old are not allowed without their parents or responsible adult. Our prices are defined in USD. The exchange rate used is not the daily one, because of the market variation. The exchange rate that we used is defined by Che Lagarto, the exchange rate shown on the website can change. Please visit our website for more information.